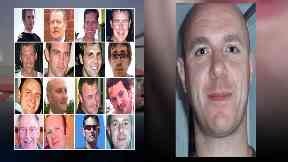 On April 1, 2009, 16 men lost their lives in one of the UK's worst offshore helicopter disasters. "I lost my best friend." At just 11 years old, Joel Taylor lost the man who meant "everything" to him. His dad Leslie was 41 when he, along with 15 other men, lost their lives in one of the UK's worst offshore helicopter disasters. Ten years ago today, the Super Puma they were travelling in from a BP oil platform plunged into the North Sea off the coast of Peterhead. A catastrophic gearbox failure left the 14 oil workers and two crew members with no chance of survival. "I still think about it every day, I'm still pretty shocked and hurt," said Mr Taylor. "It was heartbreaking, I couldn't put it into words and it was like I lost everything. "He was my best friend, we used to do everything together. I grew up without a father figure for most of my teenage years going into adult years; I needed that, it was just awful. "He was just a family man and always wanted to do stuff with you. He always used to take me and my sister out, we used to go swimming, go to the carnivals and just have fun. "He loved us more than anything." Fatal: 16 people died in the crash, including Leslie Taylor, right. 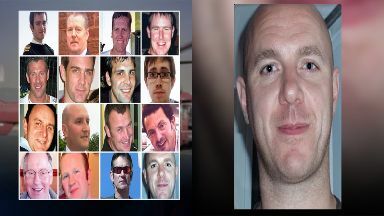 The families of those involved had to wait five years for a Fatal Accident Inquiry (FAI). It found that the crash might have been avoided if the correct maintenance procedures had been followed. Mr Taylor said: "We couldn't get over it that our dad could still be alive. I think everyone in that helicopter was robbed." The Crown Office at the time concluded that no criminal prosecutions would be brought. It was a decision that Audrey Wood, whose son Stuart died in the crash, said at the time would "haunt us". Mr Taylor describes the decision now as "appalling". Reverend Gordon Craig became the oil and gas chaplain three years after the event. He said the inquiry left a lot of questions "unanswered" and made it hard for families to move on. He said: "I think that closure is something that some of the families have not been able to find. "The inquiry didn't answer the questions they had hoped for, certain questions were left unanswered or semi-answered and that caused a lot of anger." The crash had a big impact on the oil and gas sector. Jake Molloy, from the RMT Union, said: "I think it rippled throughout the industry. "A lot of people knew a lot of the people involved, families broken obviously, and a lot of the employers really felt it. "Several managers left the industry not long after; I think a lot of them were affected by it." 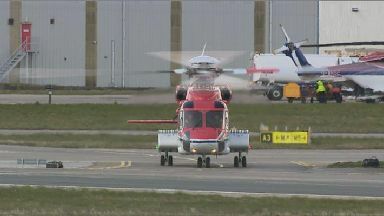 Since the disaster on the afternoon of April 1, 2009, there have been other major North Sea helicopter crashes. Four people lost their lives off Shetland in 2013 and three years ago Iain Stuart from Laurencekirk died when a helicopter came down near Norway. Along with the FAI, families and unions have pressed for a public inquiry into helicopter safety, arguing it's needed to rebuild trust among some of the workforce. "It's still the biggest concern for offshore workers and that's incredible when you think about the environment that these people work in," said Mr Molloy. "This is a major accident environment; this is a refinery, a port, a heliport that they are working on day-to-day, and yet the biggest concern is the transit to and from. We've got to address that." Emily Taylor, from industry body Step Change in Safety, believes the sector and operators are working hard to rebuild trust. She said: "Trust is something that you don't earn overnight, it takes time and I think over the past ten years we've taken that time to engage with all the passengers. "All of the oil and gas companies have come together with Step Change in Safety to work with helicopter operators to gain that trust." So far both the UK and Scottish Governments have refused to get behind a public inquiry. The issue was raised in the Scottish Parliament again last week by North- East Labour MSP Lewis Macdonald. However, energy minister Paul Wheelhouse said: "I absolutely understand the concerns that families have and that's why health and safety is a number one priority for us because we understand when they send loved-ones off to work they expect them to come back. "Oil and gas is obviously a challenging sector anyway. We are trying to make sure that the recommendations of inquiries and reviews that have taken place are implemented. Today though, a decade on, for families it will be a time to remember and reflect. Mr Taylor, now 21, will remember his dad along with the rest of his family. Not a day goes by he says that he doesn't think of him. He added: "I lost my best friend and nothing is going to replace him."